A non-folding or the standard treadmills can be your door to staying fit in long term. Everyone, of course, knows how beneficial treadmills are in keeping a fit body, especially a healthy heart. You can get the same benefits in a gym, but the membership costs are way higher than what you would be paying if you invest in personal in-home equipment. That is why most people choose a treadmill over a gym membership. It is also a great deal that is easier than running out in the park. Well, you miss out on the fresh air but what if it rains or it’s too cold outside in the winters? You will definitely break the habit you’ve tried hard to develop. A treadmill at home will ensure your workout every single day no matter what the climate is outside. These standard treadmills are the sturdiest of pieces available right now compared to the various varieties of the day. Although the foldable treadmills will save a lot of space for you, it doesn’t come with the myriad of features that the standard ones possess. Also, when you look at from the point of view of someone who does hectic workouts every day, sturdiness of the equipment is of utmost importance. This is one feature which turns the balance towards the standard treadmills like nothing else. Thus if you are looking for a treadmill on which you can depend on for a long-term, the non-folding treadmills are your friends. Non-Folding treadmills are Best Suited for whom? If you are someone who is dedicated to healthcare and does a hectic workout every day, why should you waste money on gym memberships? It is easier and convenient for you to simply buy for yourself a treadmill and workout at home. It is extremely cost-effective, at the least. Not every foldable treadmill is reliable when it comes to workouts such as running. If the belt of a treadmill is not long enough then it ruins the point of buying a treadmill. For E.g. 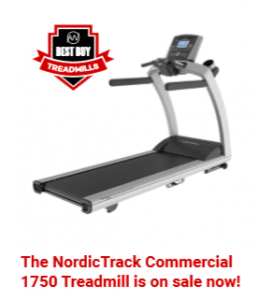 NordicTrack C 990 Treadmill has long enough tread belt. On the other hand, irrespective of your height and weight, the standard exercise machines can support you through every kind of workout, be it walking, running or anything else. But, it will need a little space to be set up and someone to allow you room to workout. So if you have a corner to be set apart for the equipment in a room or rooftop, that’s when you should buy the treadmill. Even if you are an athlete with high a level of dedication and in search of challenges at work out, the exercise treadmills are a good option for you. No matter what the level of your daily workout is, treadmills will give you a challenge and thus room to improve. The products available these days have various kinds of programs, both preset and manual, to improve your exercise regimes. Thus you can step up to more hectic exercises once you have reached a certain fitness level. The motor of a treadmill is the heaviest and important of its parts. It is the centre of all activities. Its quality and durability can affect the motor very much. Poor quality of a motor may cause it to overheat and thus get a short circuit inside the machine. All this can cause a lot of trouble for you and require maintenance. So before you buy check through the various motors, their horsepower and the sound they produce while working. Be sure to measure the running surface of a machine before you buy it. Even before you go buy a treadmill, it is essential that you measure the space or room where you want to place the treadmill. This gives you a rough idea of the size of the machine you need. Mostly, what counts as the size of the treadmill is the size of its deck. If you are averagely tall, you need the basic 22”*60” running machine while of you are even taller, you might need more leg room, especially if you want to do running exercises. It is necessary that you leave some space in the room, around the machine so even if you slip up a little; you do not get hurt a lot. This clearance space is a must for users, no matter what type of machine they buy. The foldable treadmill machines may have limitations on user weight and might start to shiver if you use it for hectic running with extra weight. But the non-foldable machines are especially noted for their high stability. 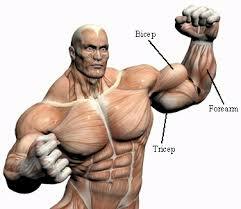 They can hold people of a wide range of weights and still be stable and reliable during hectic workout regimes. Even then, the low-end treadmills support poor weight range of 200 to 300 lbs. but don’t worry, there are better models available which can support up to a 500 lbs weighing individual easily. Thus there is no real issue of weight in treadmills. Since these models can support more weight than the foldable counterparts and has more leg room even for tall users, it is to be noted that they need space to be set up. They can be of a larger size which needs at least a whole or half a room at the very least. There also the need for extra clearance space so you will have room for errors. The best non-foldable exercise machines have added utility corners for the users. Most of these also come with space to keep your mobile phones and tablets etc. This gives you a hands-free experience and even allows you to listen to you your favourite workout playlists on the machine itself. They are really spacious and with additional technologies like an MP3 player, USB players and speakers. There are models which allow Bluetooth connectivity, even for heart rate monitoring. Then there are models which have double window HD or LCD screens that allow browsing and access to playlists and songs directly from your smartphone. Moving the non-folding treadmills around can be a tough job. Due to their durable nature and sturdy built, they tend to be heavier and cannot be easily carried from one room to another. It can be made easy with wheels, but since the machines have to stay up for better workouts, they do not of the come with portable wheels. 2. They are stronger, tougher and the overall feel of the machine is excellent. The brands all support their models of treadmills with great warranties on their products. They will have a lifetime warranty on the product as a whole, then warranty on individual parts and free labour warranty for a fixed period of time since purchase. This is proof that the products are sourced to stay trouble free for longer periods. Most of the brands have five-year warranties on products thus backing up their claims of strong and durable machines with proof. It is obvious that except for the space saving factor, standard treadmill equipment come on top of every other feature that a treadmill requires. Stability and reliability are the major factors that set it apart from its foldable counterparts. There is nothing more than a solid frame that you need in a treadmill. Space factor side, everyone should go for the standard treadmills over the foldable ones.